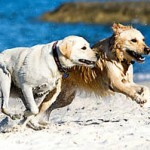 I personally fed my Yellow Lab a dog raw food diet when I was just 3 years old back in the 60’s. We lived on an outback Australian farm so this was perhaps a natural choice seeing as we had plenty of raw dog food on tap with the provisions for a family of 6 including plenty of beef, lamb, pork, chicken and game, all living on our farm. 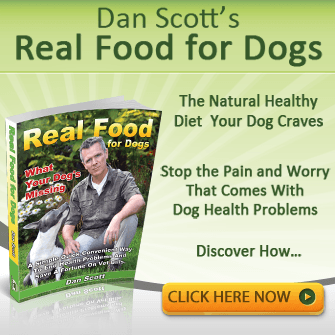 A raw meat dog food diet is your dogs natural live biological source of nutrition. It’s the one diet all dogs benefit from most out of all known diets. It’s synergistic to their well being, body chemistry and biological makeup as a live source of enzymes for daily cell renewal, growth and immune system support. Note: Commercial dog food is the exact opposite which means it’s clinically dead food with no live enzymes, has little biological nutritional value, is non synergistic to body chemistry and is therefore not an optimal food source for dogs while at the same time leaving the dogs immune system unsupported and vulnerable to disease. I’ll leave it to a new kid on the block Lindsay Stordahl to explain things in her words. In the past I fed my mutt Ace a commercially prepared raw diet dog food. This year I plan to make his raw food myself. A homemade raw dog food diet can be the healthiest diet for dogs, but it can also be unhealthy, depending on what you feed. 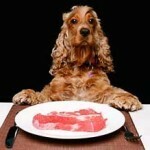 Some vets, dog owners, breeders and trainers recommend a raw dog food diet for dogs, and others do not. You should always consult with your dog’s vet to make sure a raw dog food diet is safe for your particular dog. feed raw dog food to your dog can be made pretty simple without the need for “all those extras” This is where the BARF diet gets messy. No one has a clue about whether sprinkling half a teaspoon of vitamins onto your dogs food does any good. So my advice-completely unnecessary and may cause imbalance. Vets for the most part do not have a clue about canine nutrition period. They were trained in diagnostics and treatment and they are not trained in nutrition. So do not ask your vet for advice on raw dog food nutrition as it’s a waste of time and you will only get misleading answers. Important: YOU are the one who must take responsibility for your dog’s nutritional welfare. AND by discovering how to feed a simple dog raw food diet which does not take very long at all to become comfortable with, you become the expert. 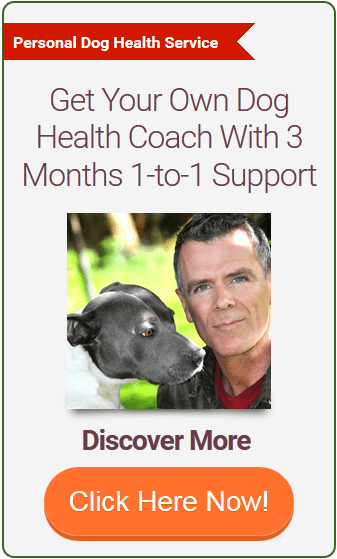 If you want a clear, concise, step by step how to book that covers switching your dog to a raw food diet then try my book—>Click Here. If you found this article of use then please pass it on to friends, family and work colleagues via the social buttons. My family and I have two German Shepherds. 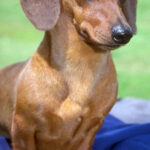 When Daisy was nine months old we found a tumour on her belly. We immediately took her to the veterinarian, only to find out it was cancer. We were shocked that a dog so young developed this disease, so we started researching cancer in dogs. 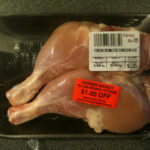 This led us to examine what we were feeding our pets. The more we investigated commercial dog food the more we felt betrayed. Hi Ella, sorry to hear about Daisy. Your not the first to come to this relisation. Let me know if I can help in any way. Hey, if the dog food companies are profiting from using scraps of human food that is going into the garbage, then why shouldn’t pet owners give their pets their left overs? I have heard friends, who have been brain washed by the pet food propaganda, say things like it’s not good to give your dogs your scraps. Little do they know how much worse it is to feed them packaged dry food. As unsavory as it may seem, it is completely natural for a wolf to consume the entire animal. Meat, bones, organs and all. As direct descendants of wolves, dogs are simply not genetically optimized to consume the 50% carbohydrate content of today’s commercial kibbles. No one can argue the dry baked pellets we call dog food aren’t convenient. Yet the nutrient profile of a dry kibble is nowhere near the nutrient content of a dog’s ancestral diet. Thanks Ron, you said it, and to think the veterinary establishment pushes kibble on dog owners with false claims, this is a crime. Hi Laura, yes the original scraps would be better than the processed scraps in dry food with additives. Can you give me advice, for the best diet for the liver disease for my 4 year old female french bulldog? 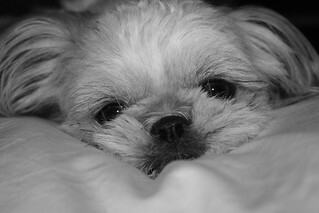 Hi Katarina, your dog needs a fresh raw food diet to balance and boost your dogs immune system. This way you are now supplying clean healthy additive free nutrition to the body so it can begin to detoxify and work towards healing the diseased liver. It depends on the severity of the disease as to how well healing can take place, but starting the diet asap will give many other benefits too. Your welcome to view the raw feeding programs I have – see right side for details and I also give full email support to my customers going through the diet transition.